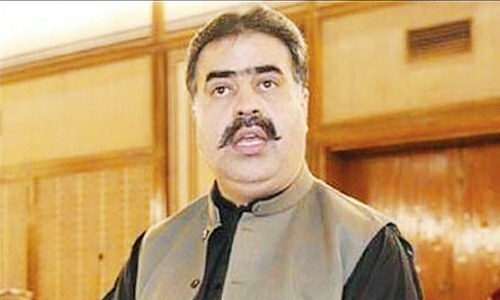 Balochistan Chief Minister Nawab Sanaullah Zehri has reportedly sacked the incumbent Home Minister Sarfaraz Bugti, DawnNews reported. 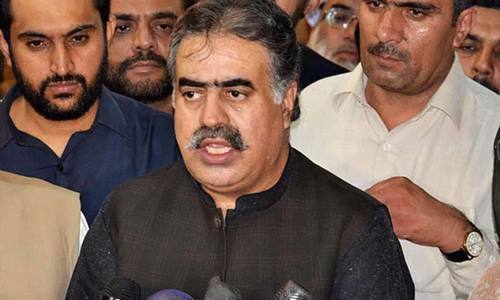 According to provincial officials, CM Zehri has also sent an advisory to Balochistan Governor Mohammad Khan Achakzai for sacking the home minister with immediate effect. However, soon after news broke about the sacking, Sarfaraz Bugti took to Twitter to issue his statement. "Reports of my dismissal are untrue. I have already submitted my resignation last afternoon to Governor #Balochistan," he tweeted. On Tuesday, Balochistan Minister for Fisheries Sardar Sarfaraz Domki has resigned from his post amid reports that Sarfaraz Bugti was also mulling to tender his resignation. Earlier in the day, a group of like-minded legislators from the opposition and treasury benches had submitted a no-confidence motion against Sanaullah Zehri, citing unfulfilled commitments as the reason. Following the assembly proceedings, PML-N lawmaker Domki submitted his resignation citing no specific reasons. 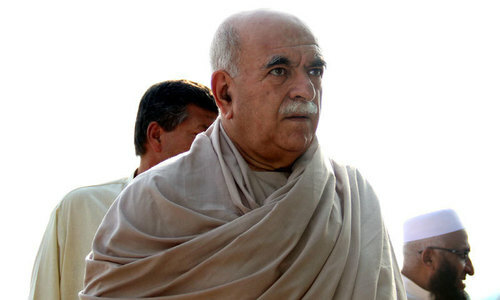 Meanwhile, Pashtoonkhwa Milli Awami Party (PkMAP) — PML-N's main coalition partner in Balochistan — threw its weight behind the ruling party in response to the provincial opposition's no-confidence motion against Zehri. When the ministers cannot co-exist among themselves then how can they co-exist with opposition parties. He is a good man and patriot person . He is paying the price of his patriotism. The fight is for the equal loot of government funds and those who didn't got the piece of the cake are against the CM. Well done Mr. Zahri, He deserves it.